Glasgow is about to publish a new events strategy. Looking back on 2018, it’s little wonder why the city, which has become a ‘face’ on the international bid calendar for major events, wants to refresh its events vision and position itself as a forward-thinking host city destination. It has already secured its status as fifth on the SportBusiness ‘Ultimate Sports City’ rankings and is rated by the magazine as the Best Small City in the world for hosting major events. Twenty-eighteen, by anyone’s standards, was a standout year; the city staged the first-ever multi-sport European Championships, involving six different sporting federations and a broadcast union that cooperated to beam live images into a worldwide television audience of over a billion. Having hosted the Commonwealth Games in 2014, the city had a competency of events provision within its own city council team and although many moved to pastures new when the caravan left town, a core rump, including Colin Hartley, who became Director of the event, remained in post. From the ground up, an eventual 100-strong team worked to deliver a unique experience that the city can proudly and genuinely claim to be an innovative events concept that delivered 11 days of thrilling and diverse sports such as cycling, triathlon, and aquatics with a rich cultural programme running alongside. The event – co-hosted with Berlin (which staged the athletics) and co-designed with the federations – was an unqualified success and, for many, has ‘disrupted’ the traditional model of delivering major events. Such disruption had argubaly been necessitated by a sea change within the context of bidding for major global events; a downward pressure on budgets means cities are increasingly finding it hard to justify bidding for events, which is a costly and time-consuming process, only to risk losing out. Glasgow is no exception in that regard; next year the city faces a £41m spending gap and the venues that its cultural arm Glasgow Life operates are expected to undergo a sale-leaseback process – as part of a way of financing an equal rights pay claim. There are clearly no events pots of gold at the end of a rainbow. BILLY GARRETT, Director of Sport and Events at Glasgow Life, is working within that financial landscape; whilst he insists the ambition to stage major events in the city remains “absolutely unchanged”, he says part of the reasoning for the events “refresh” was to try and pitch Glasgow as a slightly different proposition as an events host, both to its own civic audience and to the international market. Fresh impetus into the global events bidding scene is long overdue, and pragmatic and realistic event owners and rights holders have grasped that. One of the key words that will feature prominently in Glasgow’s refreshed strategy, which will be launched next month, will be ‘policy’. Garrett insists every event the city considers hosting meets the policy objectives of the city council at a higher level, which means greater social, economic and environmental responsibility at its core. So, events will have to have a 360o approach, I enquire? “That’s a really good way of looking at it. That’s why there’s a bit of a focus on the structures, the governance structures that support events. We’ve changed those over the last 18 months; there’s now a Glasgow Event Board as opposed to the old strategic major events forum,” Garrett adds. The personnel are yet to be revealed in full but the board will be chaired by the city council’s Depute Leader, David McDonald, who also Chairs Glasgow Life, and will also include stakeholders from EventScotland and the wider tourism, leisure and hotels sector. The purpose is also create a “frictionless” approvals process around hosting events in the city, making it easier for event owners to access decision-makers. EVENTS WILL be categorised as ‘local, signature, anchor and mega’ and part of the strategy will articulate how regularly the city will commit to hosting them. Garrett says smaller events brought into the city via investment and a new business model, like those which have proved popular at Kelvingrove Bandstand, demonstrates the way Glasgow will approach all events; there has to be a “strong business case” at the heart of them, and which “drive direct spend” on events and in the wider city. He uses the word “realistic” as if to temper expectations on what is “achievable” between now and 2030, given the financial constraints, yet reiterates the desire for Glasgow to be “punching above its weight”. STAGING THE Host City event in Glasgow – where international event owners and rights holders are due to gather once again in November – is another important marker for the city’s ongoing events ambition; the conference is explicitly designed to provide a platform for international events organisers and hosts to come together and discuss the latest industry developments and trends. 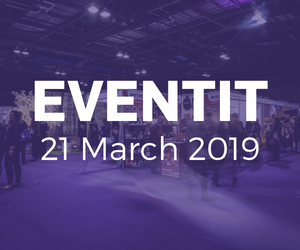 Glasgow’s events strategy will be available to delegates by then and no doubt the city will use its policy approach to influence conversations at the highest level. The city can also claim to be a standard bearer for events innovation; Berlin’s intention to host all of its national championships under one banner this summer is evidence that the European Championships multi-sport event is having a lasting effect on worldwide events delivery. 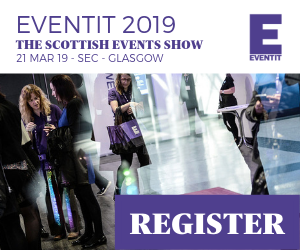 THERE IS indeed a lot to be positive about for events in Glasgow and the city is now firmly on the map for international events, which includes the growing footprint of cultural events such as Celtic Connections and Aye Write!. There’s also a real attempt to present a coherent vision for events, says Garrett, and the new strategy will present ideas around building on its People Make Glasgow brand to make sure visitors feel welcome while in the city. There is, too, a realisation that a willingess to experiment and create new events can help build a sense of place, ownership and civic pride: there are whispers of a new closed road cycling event next year, along the lines of Ride London and Vélo Birmingham & Midlands, which ties into the big UCI international professional scene but also satisfies demand from local amateur participation. There is no fixed timescale for that event – whose route may include the Trossachs national park – landing in the city, but it is thought that discussions are at an advanced stage and 2020 is a reasonable timescale for its launch onto the annual calendar. Presumably for Garrett, the fact that it makes those vital policy connections to the city’s health and wellbeing aims will chime very nicely indeed with the new strategy.